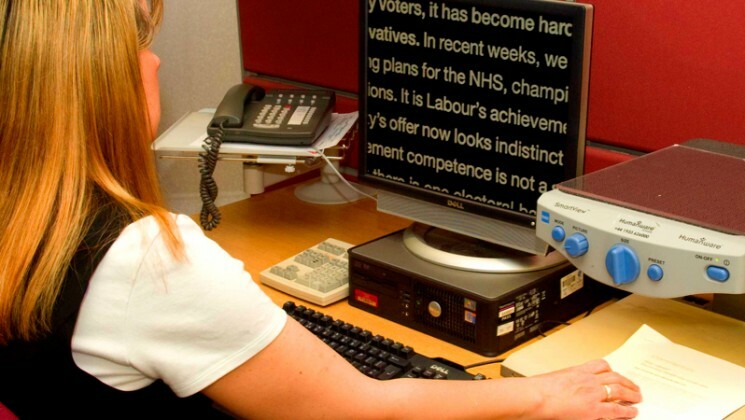 Disabled workers are often discriminated against. UNISON plays an important role in organising and bargaining for a fair deal for members with disabilities. People with disabilities make up 20% of the workforce and around 10 million people in Britain have a disability or long-term health condition. In Great Britain, the 2010 Equality Act protects the rights of disabled people in the workplace while in Northern Ireland similar rights are enshrined in the DDA – as well as providing some protection to people associated with disabled people, such as carers. The Act covers anyone with a physical or mental impairment that has a substantial and long-term adverse effect on their ability to carry out day-to-day activities. It also includes those who have been disabled in the past. People with cancer, HIV or multiple sclerosis are automatically regarded as disabled for the purposes of the Equality Act and the DDA. A severe disfigurement may also amount to a disability. In Northern Ireland, separate pieces of legislation address these issues and political opinion discrimination. Under the Act, and the Northern Ireland equivalents, people are not allowed to discriminate against, harass or victimise another person just because they fall into any of these categories. People are not allowed to discriminate against disabled people because of their particular disability, or because of something arising in consequence of their disability (unless, in Great Britain, their employer can show it to be a proportionate means of achieving a legitimate aim). In Northern Ireland people are not allowed to discriminate against disabled people because of their particular disability, or for disability related reasons. In relation to treating someone less favourably for disability related reasons, an employer can defend their actions if they can show more than a minor or trivial reason for such treatment that relates to the circumstances of a particular case. Practices which discriminate against those with particular disabilities are also prohibited unless they can be similarly justified. This is known as indirect disability discrimination – there is no Northern Ireland equivalent under the DDA. 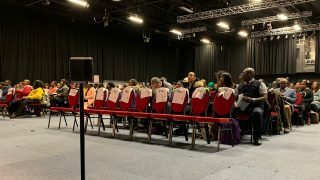 Employers are also expected to make special arrangements – described as ’reasonable adjustments’ in the law – that help people with disabilities do their jobs properly. These ‘adjustments’ could cover changes to the job itself or providing equipment that makes the job easier to do. There is no definitive list of these ‘reasonable adjustments’. The best way to bring about the changes you need is to make an informal agreement with your employer. Your UNISON representative is there to support you if you need help. negative attitudes and prejudice from employers. UNISON’s work on disability discrimination is often led by our disabled members. Make sure you’re familiar with the terms of the 2010 Equality Act and, in Northern Ireland, the DDA. Around 20% of the workforce is disabled and disabled people are often discriminated against at work. The 2010 Equality Act provides protection against discrimination throughout your working life, from recruitment to retirement. UNISON is committed to reducing discrimination of all types in the workplace. What rights do carers have under the law? Under the 2010 Equality Act and the DDA, carers enjoy some of the same rights as the people they care for. Carers have the right not to suffer less favourable treatment or be harassed because of another’s disability. However, there is no duty to make reasonable adjustments for carers and nor do they have protection against indirect discrimination. 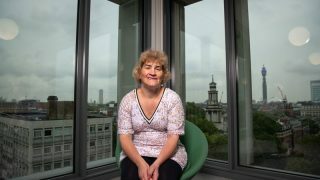 Is it reasonable to expect my employer to try to find me a new job if my disability makes it hard for me to do my existing job? Yes, your employer is bound by law to consider redeployment if there are no “reasonable adjustments” that can be made to your existing job. A timeline to mark the 20th anniversary of the Disability Discrimination Act and the progress made in the last twenty years to protect the rights of disabled people in the UK. A mini poster in an easy read version to assist members with learning difficulties. Statistics show that 9 out of 10 people with with learning disabilities have been a victim of hate crime. 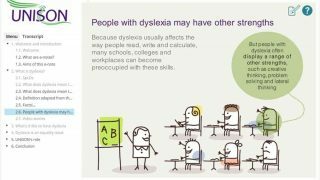 Dyslexia – what does it mean and how can you help?